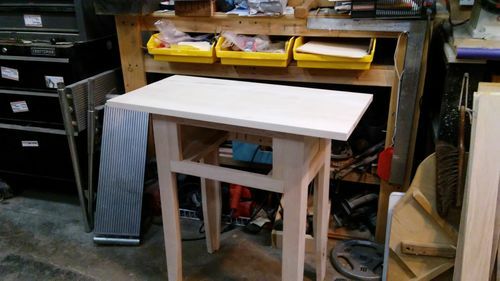 This maple side table was inspired by Norm Abrams bedside table and I set my design and dimensions off of his plans from the book. After watching the video on utube, I made these changes. In the photos I had bought a load of maple strips $15, and so I planned to make each leg an L shape. This was easier to do making each side a frame and then biscuiting the frames together to make the stand. It let me use smaller pieces and check the fit. I liked the tapered legs. I made a taper jig and cut each leg with an 8 inch high taper to the bottom 1 inch. With the sides each a full 2 inch, I had to resize the opposite leg to balance the look. fronts and back 2inch, sides 1 and 1/4 wide. For the panels in the upper openings, I made flat panels, with chamfered edge on separate pieces and mounted them together to make a 3 piece panel that screwed on from the back. The rear panel no one would usually see so I made saw kerfs to give effect and screwed it on. The drawer runners are two pieces as an L with screw pockets made and test fit. Also I made full width strips across the top for mounting the table top with screws since this would get the most stress with lifting the table. 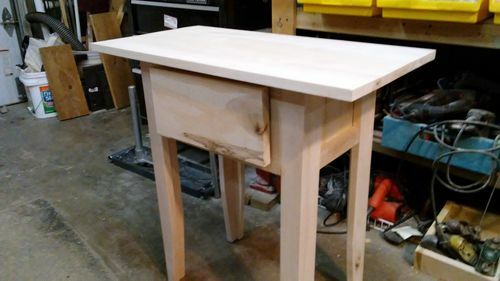 I had a full size piece (8×14) with a sap line for character for the drawer front since Maple has so little grain and character. 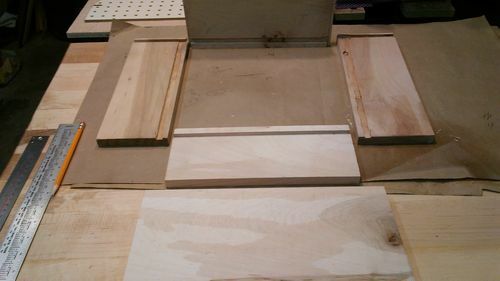 The drawer box 11×11 is made with dado for bottom panel and then the false front screwed on. The top is 15 in by 28 in and the height is 29 in high. I used 8 two in pieces to get this flat and from the pic you can see I had stock to work with. 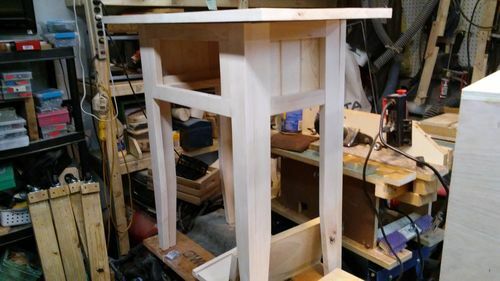 I will be adding to a blog on the test stains and taking some time to decide about what goes with the furniture pieces I have. I actually like the maple as a plain tone color and want to see more choices from my stain choices before choosing. 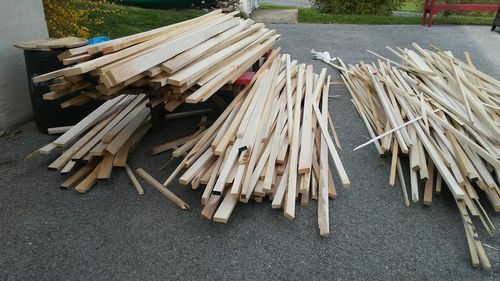 I bought this load of maple last spring and check out the cutting board projects I have and the workbench top also.